The successful candidate will report to Code for Africa’s lead technologist, and will work with the tech support teams to build robust systems / infrastructure to support substantial growth over the next three years. 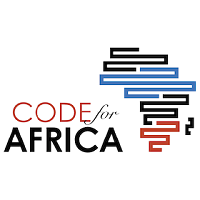 Code for Africa is an advocate for open source software, and the successful candidate would be required to use guidelines and best practices as part of the development work. Also in keeping with Code for Africa’s values, the engineer will also interact with grantees, partners, and the community. • Work closely with UI designers, project managers and back-end engineers to implement versatile front-end solutions to tricky web development problems. • Embrace emerging standards while promoting best practices in order to push the limits of what a browser can do. • Manage your own time, and work well both independently and as part of a team. • Implement designs, including user flows, wireframes, mocks and prototypes into projects. • Launch, iterate and make a difference. Provide front-end coding expertise, and be ready to make our products better for our users. • Collaborate with a geographically distributed team of designers, researchers, developers, and journalists; proactively explore all options. • Applications development experience, working in Unix or related environments. Fill form by 15 November 2018.